Ancoats in Manchester has a new addition: on Bengal Street, a new business has set up. From the outside it looks like the door to a warehouse unit (which it was), but for a circular image in lustrous, lupuloid green: M-bibe: is emblazoned across the shutters – a sign well known to the local esoterica. Rather than shopkeepers or bar staff, M-bibe: employs hosts. A host greets you and presents you with your fob which activates the taps within. Jess started working at M-bibe: when it opened six months ago after completing her physics degree at the University of Salford. Hosts have a deep knowledge of the brewing process and background of each beer as well as the staff at the brewery itself. Their function is to address all the guests to talk about it. They’re the nucleus of the operation. If your fob doesn’t work – take it to them. If you have questions, ask them. If you’re drunk, you’re also answerable to them. You have to download the M-bibe: app to be able to visit and pay for a two-hour window. There are three sessions per day: Midday – 2pm, 3pm – 5pm and 6pm – 8pm. The standard price is £35 per session, but there are offers as well as reductions to make up the twenty customer maximum for each period. The evening slot usually retails for £45. If each space is filled, this potentially represents £2,300 in cash turnover on one day. Each brewery has a stand giving an account of every beer available. There are fifty taps minimum to sample from, but the number is usually higher. Every tap has an internet link by the side scannable by mobile phone. M-bibe: encourages you to submit tasting notes which are automatically published online. Beer is a socialist concept – at least that’s what the modern geeks would opine. What it more reliably is, is a sociable concept: the aforementioned hosts are trained to spend time with everyone and wherever possible, remember names. This is a proven method to winkle customers out of their shells so they feel they belong there and invest in the business more. Once payment has been processed through PayPal, an RSS code is sent to your mobile so the host can scan it. On the floor, you’re free to wander but it’s expected you’ll mingle and forge friendships. This is where you come to talk unabashedly about beer. Only one session can be booked on any given day. The craft beer scene and drunken antisocial blight are two separate worlds. This helps raise the bar from the tabloid accounts of Lager louts. Beer overtook wine as the drink of discernment a long time ago – the drink of the grain has been thoroughly gentrified. This app also enables you to converse with the other participants on that session ahead of the time – including the hosts. This is so you’re already familiar with other members of the group you’ll be in. The kinship will already be in situ; you’re pupils in the same lesson. The founts dispense one hundred millilitres of beer and are activated by fob. There is a ten-second delay between each pour to deter anyone trying to continuously top up but that never really happens. It’s not part of the culture. You are actively encouraged to bring in phones and laptops and take pictures. There isn’t much seating, but plenty of perches for equipment and free full-strength Wi-Fi. 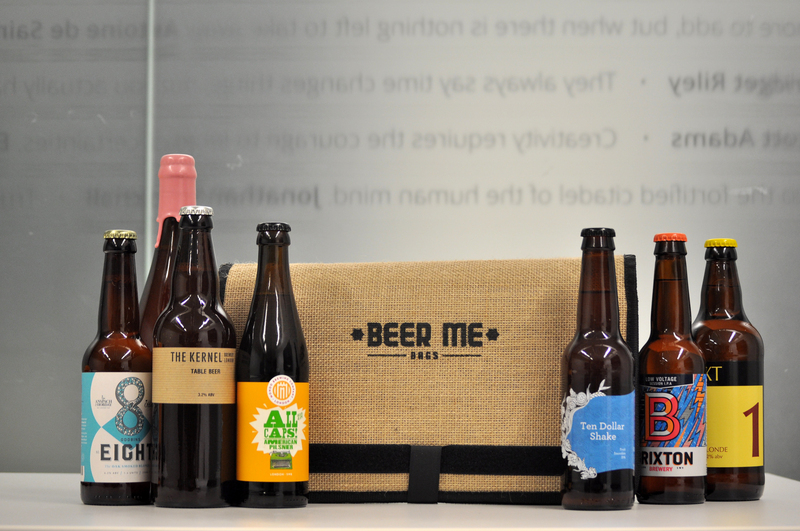 Customers (or M-bibe:rs) get to vote on which beers, styles and breweries get represented in future sessions. Jess continues through gritted teeth, “Though I’m a fellow nerd, it’s really hard keeping a step ahead of some of the customers – especially the regulars. You become a kind of oracle to them – they expect you to know the answer to bloody everything!” She wipes her brow and fixes her gaze, “This afternoon I was asked by a young blood which areas of the brain are responsible for causing the lupulin threshold shift.” her teeth glisten through taut gums “I love him to bits but I might just have to have him killed. That’s my evening in front of Celebrity Love Island screwed”. Once this information has been researched, it’s recorded and pooled during weekly team meetings amongst the hosts so the knowledge is communal and can be regurgitated. M-bibe:’s reputation is such that for a brewery to get its beer on the company’s roster is a badge of honour in the brewing world. There are breweries in Colorado and Queensland who only start to get credibility in their own neighbourhoods once they’ve had their wares included here. M-bibe: has set a new benchmark. From Ancoats, Manchester, it’s expected to spread to London, the US and even further abroad.